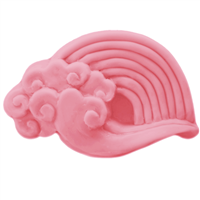 Use this Large Unicorn Horn Mold to create fun, whimsical soaps and bath fizzies! 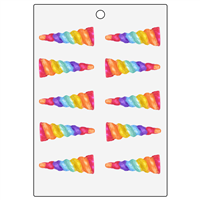 These large unicorn horns will be adored by all and make for a trendy gift for anyone. 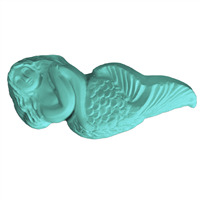 Bar Cavities: 2 Bar Depth: 1.25"
Bar Length: 7" Bar Width: 2.3"
This mermaid soap mold is completely detailed! She has flowing wavy hair and each scale on her tail shines in the light. Her face is soft as she gently crosses her arms against her body. Make magical soaps and lotion bars with this mold! 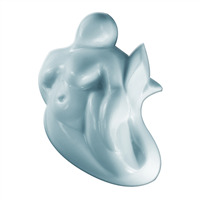 Bar Depth: 1 1/8" Bar Length: 4"
The Mermaid 2 Soap Mold is an abstract figure of a mermaid. There are few details to this smooth mold but her flowing tail makes it obvious that she belongs in the sea! 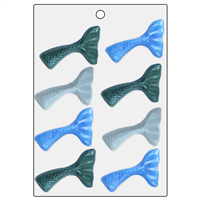 Bar Depth: 1" Bar Length: 5 1/8"
The Rainbow with Cloud Soap Mold is perfect for creating whimsical springtime soaps. The retro feel will be loved by all! Bar Depth: 1" Bar Length: 2.375"
The Unicorn Horn Mini Mold is a MUST have to get on board with the unicorn trend. This swirled horn can be mica painted in magical colors and placed on top of soap bars, soap cupcakes and bath fizzies! 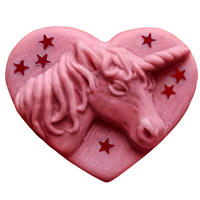 This Unicorn Soap Mold features a majestic unicorn surrounded by stars all on a heart shaped bar mold. Scent this soap with Unicorn Poop FO for even more unicorn fun! The unicorn craze keeps growing, so kids and adults alike are sure to love this magical soap mold. Bar Cavities: 3 Bar Depth: 1"